The foremost requirement to become a Licensed Practical Nurse in California is to complete coursework that gives you theoretical as well as clinical knowledge. There are two modes of study: online and on-campus. If you choose an online program, the clinical practice has to be done on your own at a nearby nursing home or healthcare center. You must make sure to find a state-approved nursing school to enroll or else you may not locate the job even after the completion of the degree. To learn more about the eligibility criteria, curriculums, and accredited schools, go through the article thoroughly. The minimum age required for the enrollment is 18 years. Passing the drug screening test is essential. Your criminal background should be clear. The aspirant is supposed to possess a valid photo ID. Fingerprint report must be provided at the time of application. Attach a proof of cardiopulmonary resuscitation (CPR) certification. The student should propose a proof of current immunizations. The duration of the LPN programs in California is one year which is intended to train nurses in evidence-based practice. It offers a balanced proportion of classroom instruction, laboratory and clinical experience. The program is offered as a full-time or part-time (weekends) course. You can enroll for an online program too. The basic topics covered are anatomy, nursing care of adults, medical terminology, nursing fundamentals, physiology, and pharmacology. 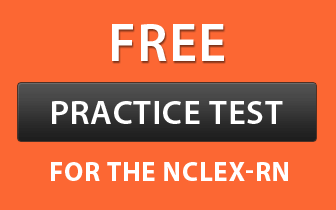 After completing the coursework from an accredited vocation nursing program, you need to pass the National Council Licensure Examination for Practical Nurses (NCLEX-PN). Allied Medical And Health Services Inc.